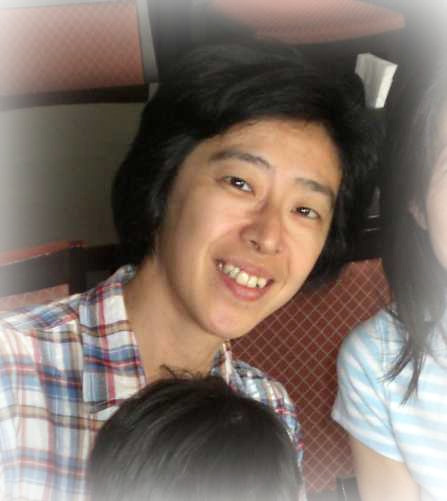 I visited two small islands in Nagasaki prefecture in November 2009. This is what I was told by several of the dairy farmers. (1) Ukujima 24.9km2, population 3000. The island has one 1000 kW wind turbine, built in 2001. 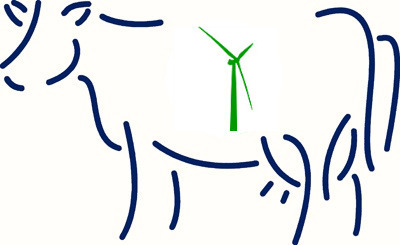 (a) Farmer A (340m from cow barn to the turbine). This family has been dairy farming (breeding and raising cattle) for over 40 years. Recently, some calves suffered from swelling of shoulder and knee joints. Others had spinal curvature. The symptoms in each case get worse as they grow up. The calves with swollen joints failed to gain enough weight. They were sold at one-third their normal price. In addition, some of the cattle have weak estrus (it’s difficult to find evidence of estrus). The family is worried they won’t be able to continue dairy farming. “We don’t know if the cause is the wind turbine. But we never experienced this kind of problem before the turbine was built.” The local veterinarian has no idea what is causing this. (b) Farmer B (300m from cow barn to the turbine). This family has been dairy farming for about 50 years. Two or three years ago a calf was born with curvature of knee joints. The farmer doesn’t know what caused it, yet he says he never experienced this before the turbine was built. The local newspaper reported the story in September 2009. The farmer fears the newspaper story might lower the price of his calves. (2) Azuchioshima, approximately 15km2, population 1700. Sixteen 2000 kW wind turbines. (c) Farmer C (100m from cow barn to a turbine). In 2009, there was a sudden death among his cattle, plus two astasia [“inability to stand because of disruption of muscle coordination, usually from injury to the frontal lobes”], one abasia [“inability to walk”] not caused by injury, and one premature birth (stillborn). These problems occurred three years in succession. A health official confirmed they were abnormal. 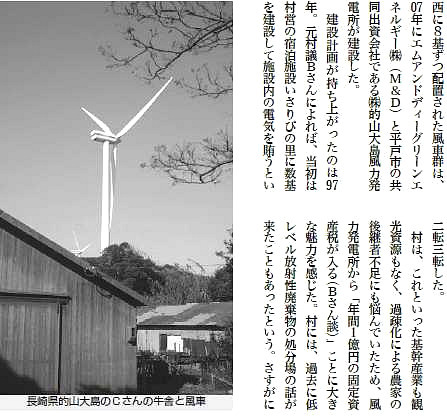 Note that the Japanese government’s recently-announced wind turbine health survey will not include livestock. No one is listening to problems with wind turbines as the industry in parts of the world is controlled by money. They do not care about the impacts on humans and livestock, not to mention the marine creatures. I realize this comment is way late, but I just now have seen and read this article for the first time. I’m grateful for the link from the May 13, 2013, article on the devastating damage done to horse foals. This is an excellent report on the horrors done by IWTs to dairy cattle! I note the distances separating the turbines from the cow barns: 100-340 meters; or 365.76 feet-1243.584 feet! Unconscionable!!! But, in the above report, Farmer C’s cows are as close as 365.76 feet! Unbelievable! The humans perpetrating the crime are sadistic, evil monsters, with no conscience. They are causing suffering, injury and death in human beings and all creatures of the Animal Kingdom wherever the toxic sound waves created and propagated by their instruments of torture invade Life’s Habitat. Wind Energy developers and proponents are modern-day Tomas de Torquemada emulators. Those activists who campaign against water-boarding as torture would do well to join the effort to expose the very real pernicious torture committed every day, everywhere on Earth as IWTs continue to turn!! !